A Story 200 Years in the Making. 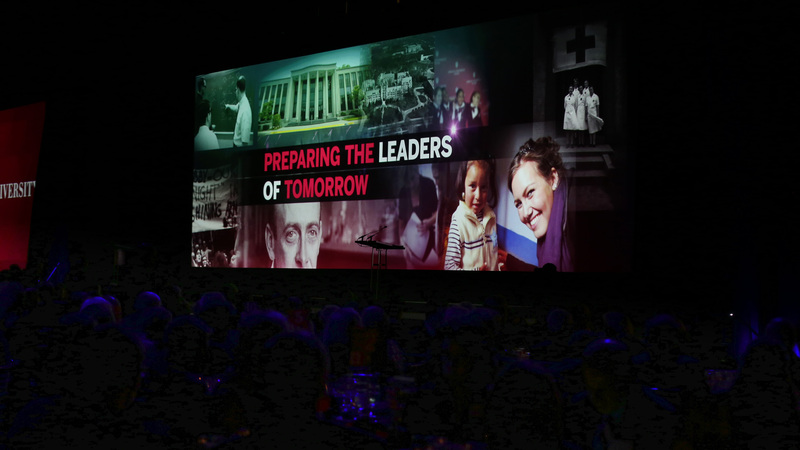 Feats Inc. contacted us to create 3 animated videos for the Indiana University Bicentennial Campaign event. This gala event was held at the Indiana Farmers Coliseum in Indianapolis, Indiana and hosted 800 alumni, donors, and friends. The purpose of the event was to highlight the rich 200 year history of IU and the ways it continues to evolve and inspire the community, and even greater, the world. The 3 videos were focused around the idea of the past, present, and future. 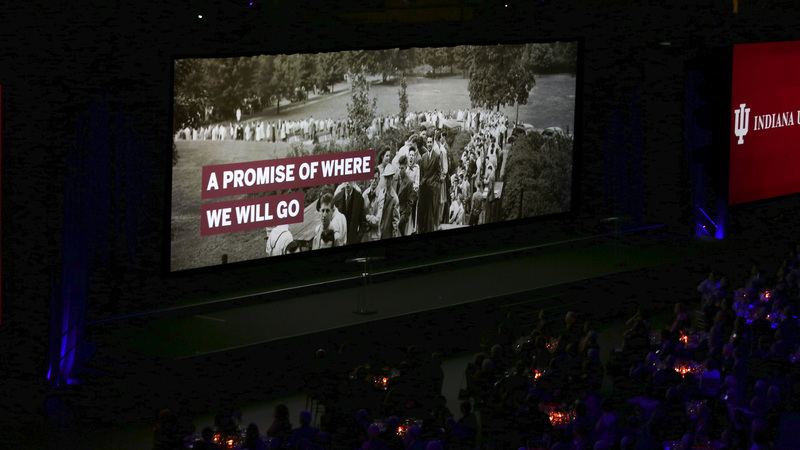 We built these videos in a 3.33:1 aspect ratio to accommodate the 15 x 50 foot screen. The event was a success and we were thrilled to have contributed to IU and their respected institution.